Bibarel in game: 644 Who? Important notice! Pokemon Bibarel is a fictional character of humans. Bibarel (Japanese: ?—?? Beadaru) is a dual-type Normal/Water Pokémon introduced in Generation IV. It evolves from Bidoof starting at level 15. Bibarel is a bulky, bipedal Pokémon similar to a beaver. 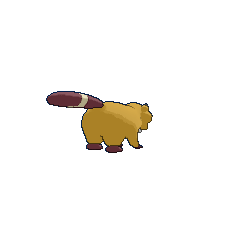 Brown fur covers most of this Pokémon with a tan circle on its chest. Its face is covered by a tan mask with a rounded extension over each eye; the male will have an additional extension to the side of each eye. While its forepaws are small and slightly webbed, its hind paws are larger and more rounded. Both sets of paws are black with three toes, but the hind paws have circular, tan paw pads. Bibarel's large, flat tail is black with a tan, wavy marking near the tip. Rounded tufts of fur line each side of its face. Its short, dark brown snout has a small red nose and protruding upper incisors. These teeth are used for chewing trees. This Pokémon is known to be an industrious worker that dams rivers by building its nest. However, a river dammed by Bibarel will never overflow. It is slow moving and awkward out of water, but a swift swimmer. Bibarel appeared in Bibarel Gnaws Best!, under the command of Isis. It refused to help build a bridge because it knew it was structurally unstable. Paul's brother, Reggie, owns a Bibarel which appeared in Lost Leader Strategy!. Bibarel made its anime debut in brief cameos in Following A Maiden's Voyage!, appearing in the wild. A Bibarel made a small appearance in The Rise of Darkrai as one of the Pokémon Darkrai hit with a Dark Void. 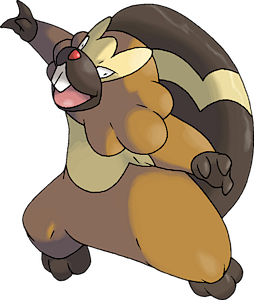 Multiple Bibarel appeared in a brief cameo in Giratina and the Sky Warrior. 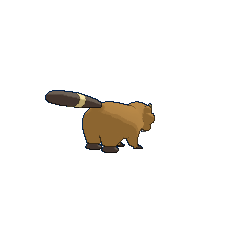 Bibarel has made cameo appearances in Kalos, Where Dreams and Adventures Begin!, A PokéVision of Things to Come!, A Battle by Any Other Name!, and The Cave of Trials!. 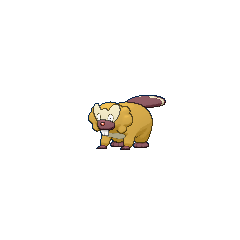 A Trainer's Bibarel appeared in An Oasis of Hope!. 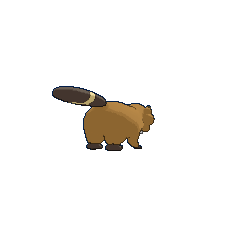 A Trainer's Bibarel appeared in A Giga Battle with Mega Results!. 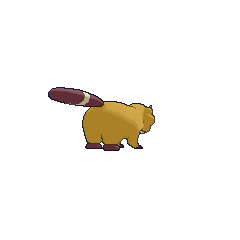 A Trainer's Bibarel appeared in Unlocking Some Respect!. DP057 Bibarel Ash's Pokédex Bibarel, the Beaver Pokémon. It dams up rivers to make a nest and is well known as a hard worker. A Bibarel appeared alongside a nameless Socialite at the Seven Stars Restaurant, along with a Gentleman and his Hippowdon. The quartet battled Diamond's Torterra, Tru, and Pearl's Infernape, Chimler in a Tag Battle. Moves marked with a superscript game abbreviation can only be bred onto Bibarel in that game. It attacks by spitting out blobs of water. Bibarel came to the Meadow Zone to visit Bidoof. Their favorite Attractions are Bulbasaur's Daring Dash and Gyarados's Aqua Dash. 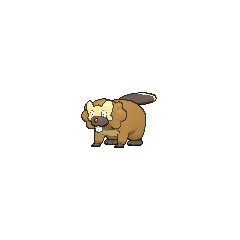 For other sprites and images, please see Bibarel images on the Bulbagarden Archives. 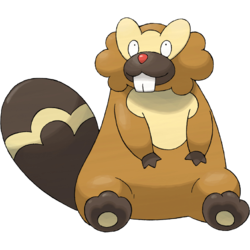 No other Pokémon has the same type combination as Bibarel. 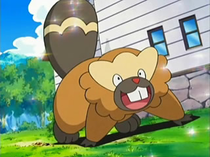 Bibarel is based on a beaver. Bibarel may be a combination of beaver or Biber (German for beaver) and barrel. It may also refer to bib (which is similar to the pattern on Bibarel's front) or a transliteration of ?—?— biibaa (beaver). Beadaru is a combination of beaver and ? taru (barrel). Mandarin Chinese ??? Dà Wei Lí ?? means big tail. ? is derived from ? ?.